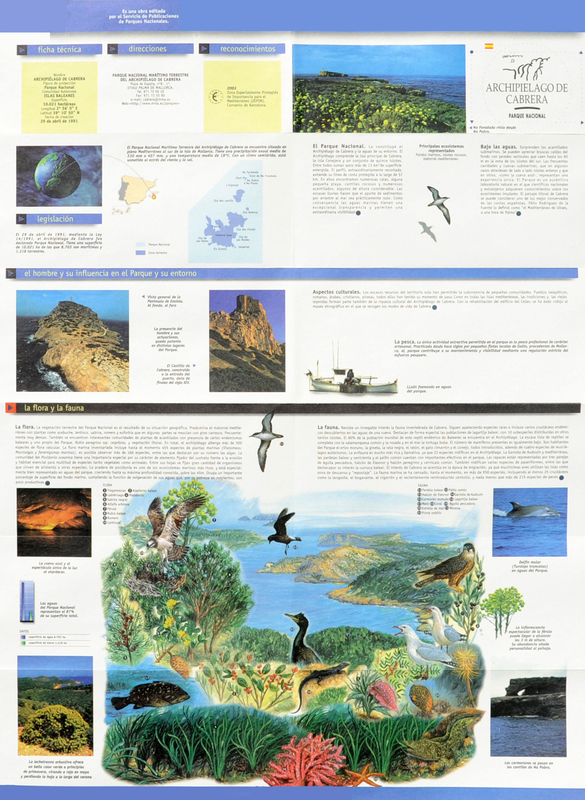 The Natural Park of Cabrera is the only National Park Balearic Islands and the only national park land and sea in Spain. It includes a large island, Cabrera, six smaller islands and islets twelve and the surrounding maritime areas. 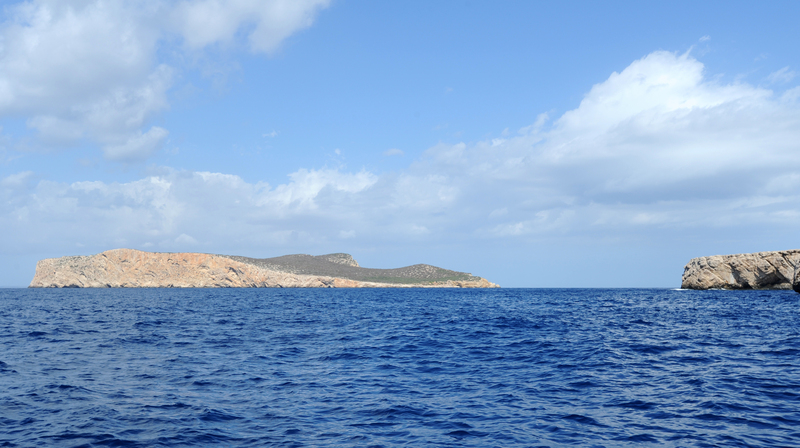 The Natural Park of the Cabrera archipelago is located off the southern tip of the island of Mallorca, about 17 miles south of Cap de Ses Salines, the south-eastern tip of Majorca. The nearest port is in Colónia de Sant Jordi, about ten nautical miles. 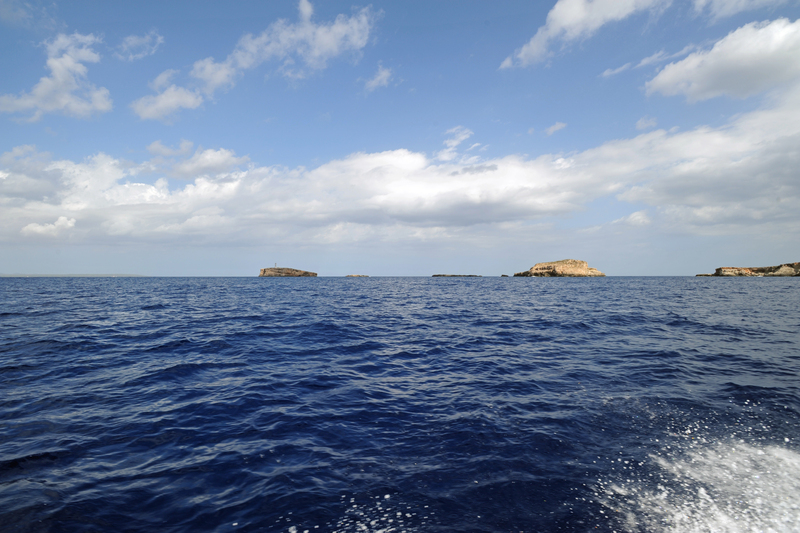 The Cabrera archipelago is composed of nineteen islands and islets - the picturesque names - which are, from north to south: Na Foradada ("The Breakthrough") which has a lighthouse, Na Pobra ("The Poor") S’Illot Pla ("Flat Island"), Na Plana ("The Plane"), L’Esponja ("The Sponge"), Illa dels Conils ("Island of the Rabbits"), also called Sa Conillera (Conejera in Castilian), Na Redona (Redonda in Castilian) ("The Round") Cabrera itself ("Goatherd"), Illa des Fenoll ("Fennel Island"), Illa de ses Bledes ("Island of Chards"), Illa de Ses Rates ("Island of Rats"), Imperial and five islets Estells ("Star"), Estell d’en Terra, Es Carabassot de S’Estell d’En Terra, Estell de s’Esclata-sang, Estell des Coll and the southernmost, Estell de Fora ("Star Outside"). According to the map of Cardinal Despuig, Island Na Pobra formerly called Sa Sal ("Salt") there collecting salt in salty seaside holes ("cocós"). The archipelago of Cabrera has an area of ​​18.36 km² and a coastline of 54 km long. 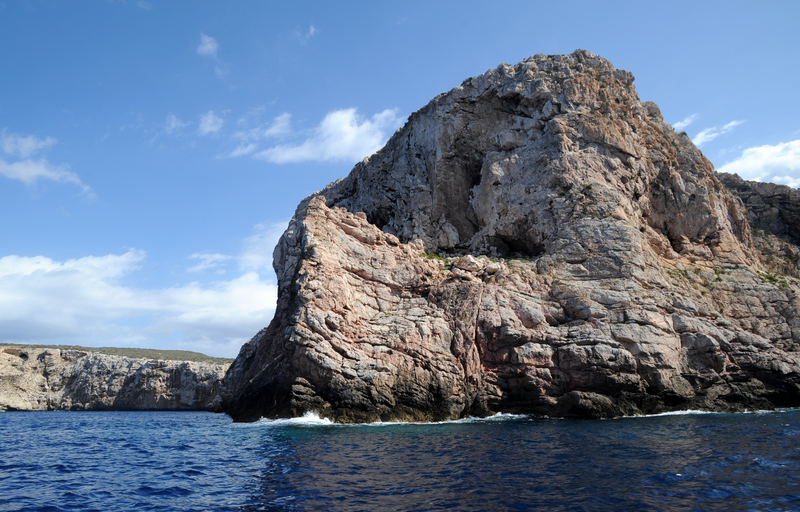 The geology of the archipelago is the extension of the Serra de Llevant located in the eastern part of the island of Mallorca, the Cabrera Archipelago was separated from Mallorca there are about 12,000 to 15,000 years. As Majorca, the archipelago consists of tertiary limestone, marl and dolomite. 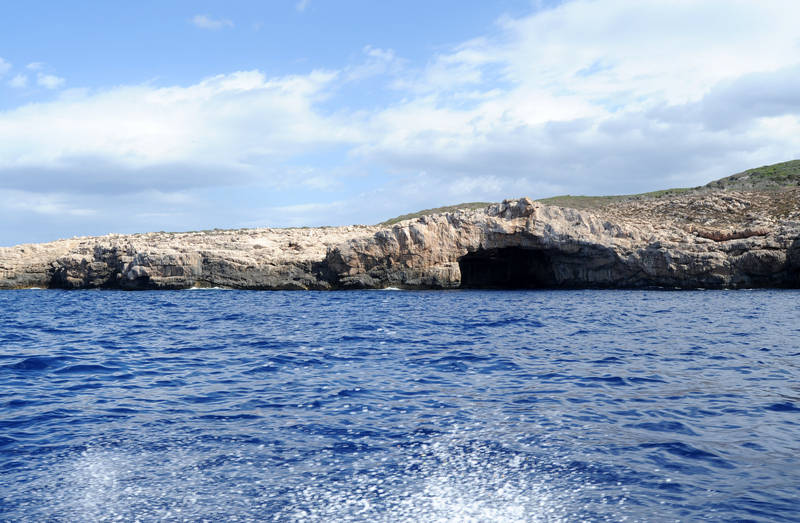 The layering of materials, folding and crossovers of different orientation are spectacular views from the sea limestone terrain Cabrera led to phenomena such as sinkholes and karst caves with underground lakes relatively large. 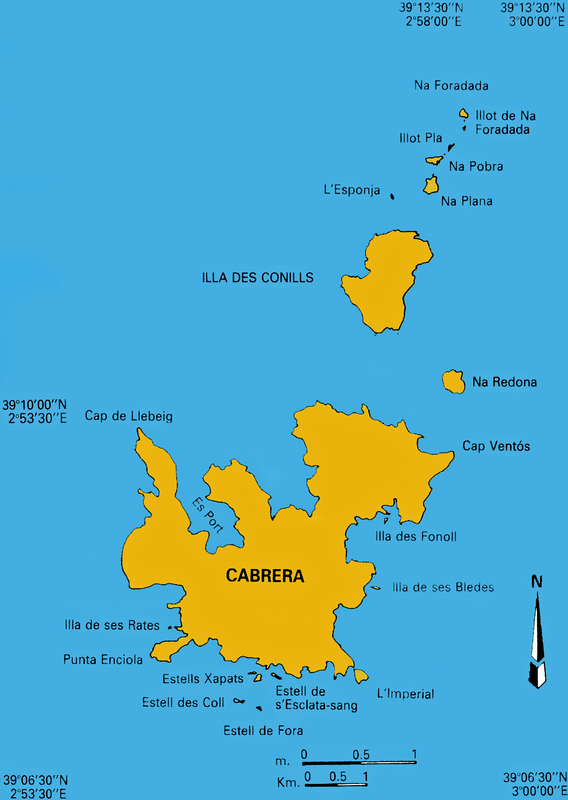 All the islands of the archipelago are uninhabited, except Cabrera has a residual population and a small garrison. 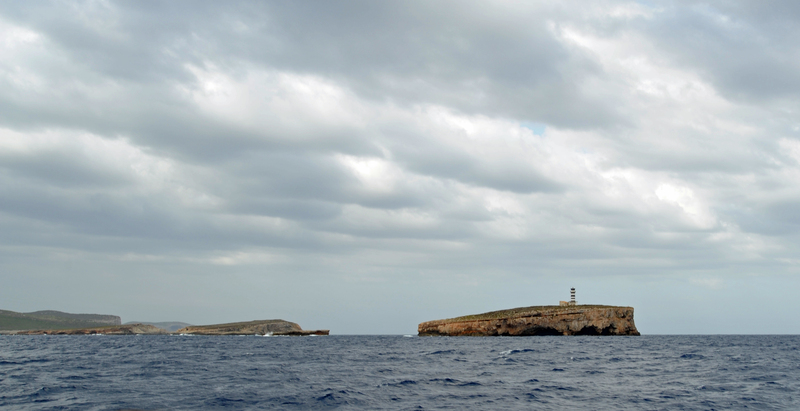 Only Cabrera can be visited, the other islands are reserved for scientific observation of fauna and flora. Protection of the ecosystem of the archipelago of Cabrera began fortuitously by a military episode of the First World War, during which Spain was officially neutral in 1915, a submarine Austro-Hungarian, operating in the western Mediterranean, had a breakdown and had to stay for several hours in the port of Cabrera. The future banker Joan March Ordinas then engaged in the smuggling of tobacco and all kinds of traffic, it revictualled the submarine, including fuel, since its field S’Avall to Colónia de Sant Jordi on the southeast coast of Majorca. When this incident became known to the First Lord of the Admiralty, a Winston Churchill, it demanded the immediate expropriation of the owners of the island, Feliu family. A Royal Decree of 7 July 1916 instituted the military occupation of the whole of the archipelago of Cabrera, a garrison settled there. 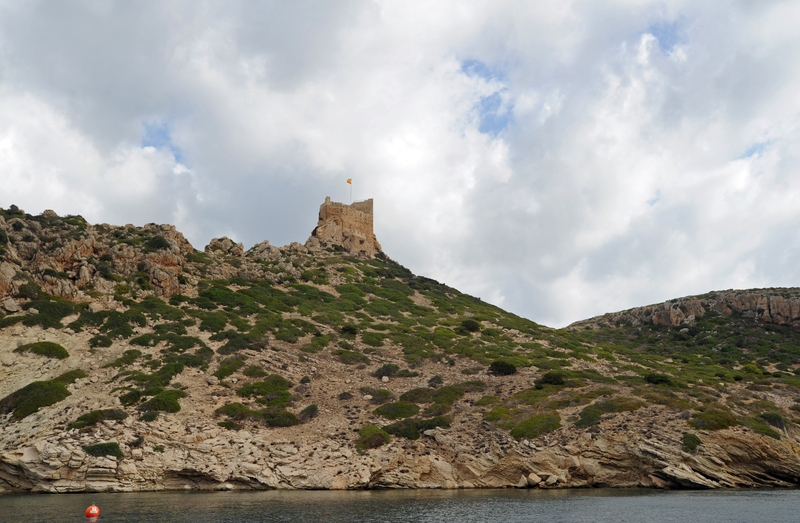 Cabrera remained a strictly military zone until 1980, although some farmers Mallorca could rent land for cultivation; military maneuvers took place on the island of Cabrera until 1988. This military occupation was, however, the positive effect of avoiding a tourist exploitation of the island, many projects failed. 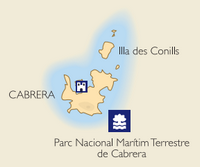 In April 1991, before the mass demonstrations and the association for the defense of nature protests, including GOB (Grup Balear d’Ornitologia), a National Park was created to protect the archipelago: the National Marine Park and the land archipelago of Cabrera (Parc Nacional maritimoterreste de l’arxipèlag de Cabrera / Parque Nacional del marítimo-terrestrial del archipiélago de Cabrera). The main objectives of the National Park are to protect the geology, flora and fauna, both marine and terrestrial, and develop educational and cultural activities for a better understanding of this natural area. 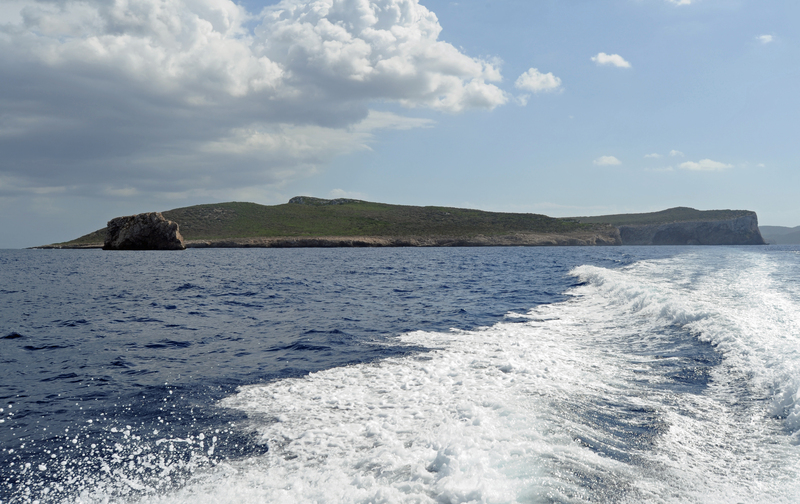 The Cabrera archipelago is known for its birdlife, rich marine environment, and abundant population of lizards. It also has an important archaeological heritage land and underwater, with many shipwrecks dating from antiquity. 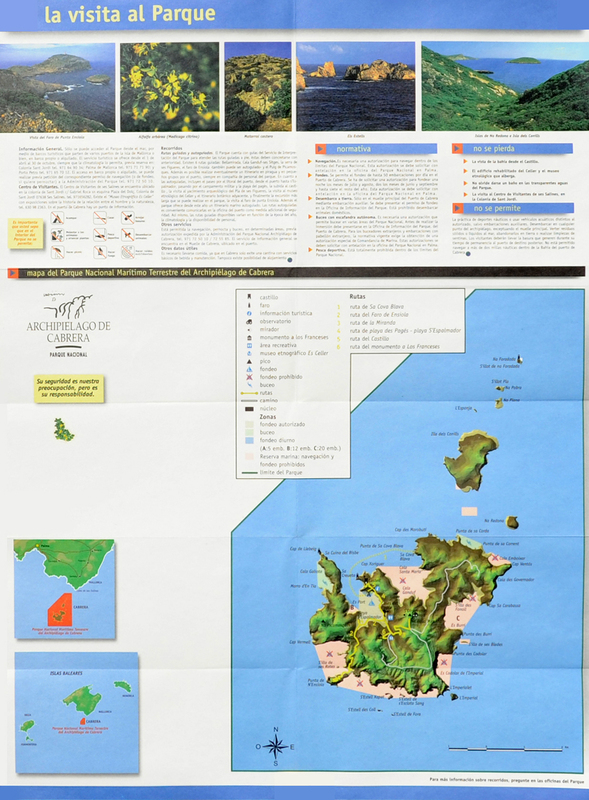 The National Park covers 100 km², including 13.8 square miles of land area and 87 square kilometers of marine areas. sport fishing in all its forms, as well as any kind of underwater fishing. waterskiing and use of water vehicles that do not have the corresponding authorization. landing on the ground, except on the main quay of the port of Cabrera. camping on the whole area of ​​the National Park. pile of combustible material, prepare a pyre and set fires. the collection, destruction or alteration of historical or geological features of archaeological interest, as well as specimens of animals and plants. the landing of pets and the introduction of exotic animals or plants. the discharge into the sea of ​​all kinds of solid or liquid waste and land abandonment of garbage or waste. 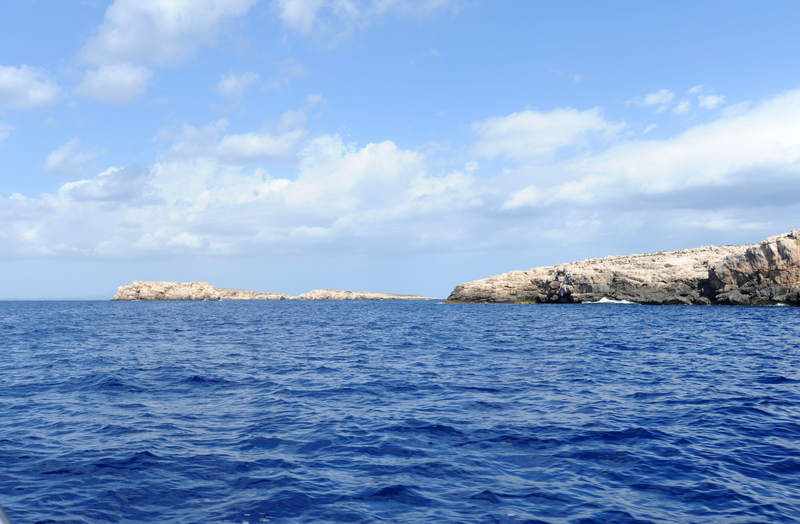 To navigate, wet or dive with an aqualung in its waters, it is necessary to seek prior authorization to the Office of the National Park, based in Palma. There is no restaurant in the National Park of Cabrera, but only a small cafe on the harbor. Carrer Sant Miquel, 79, 07002 Palma de Mallorca.